Villas, 56 Water Villas and 30 Senior Water Villas, all boasting fresh and contemporary decor. home of the exotic marine life, from stingrays and lionfish to snappers and eels. A true paradise for snorklers and divers. Rates are quoted in US Dollars and all other currencies are just an indication. Constance Moofushi is situated on the South Ari Atoll and is widely regarded as one of the best diving spots in the world. The Resort combines the Crusoe Chic Barefoot elegance of a deluxe resort with the highest standards of Constance Hotels Experience. Please note that other conditions might apply during high season as well as for special offers, see rate description. Being one with our space means acting on a human scale; sourcing fruits and vegetables locally and picking fresh produce from our herb garden. It means being transparent about the non-toxic products we choose to use and the recycling we do, so our island keeps its natural biodiversity. We undertake various actions such as optimal use of air-conditioning and pool water, use of glass bottles instead of plastic, watering from rain water as well as recycling and composting. Clients can calculate their CO2e footprint, the financial cost of that CO2e, and track their performance of energy and water consumption and non-recyclable waste production. 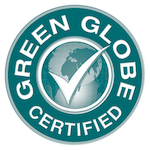 The certification is only awarded to members that have a compliance rating of at least 51%. The award can then only be maintained if members continually improve by 3% every year. An unbelievable time at the most amazing place I have ever been to. Location: Located in the South Ari Atoll this is a beautiful island with an amazing house reef. Parts of the reef have suffered significant bleaching however the island is keen to recover their reef and have partaken in schemes to try to rebuild the damaged reefs which is really good to see. Regardless, the reef offers many types of fish which are all beautiful, from the tang fish, clown fish and parrot fish etc., As well as reef sharks and even sting rays all seen commonly. If your lucky you'll even get to swim alongside turtles right on the islands reef! They also offer excursions to other reef spots if you wish to snorkel further out or dive elsewhere. Service: This is where Constance really shine. As soon as you step off the plane in Male you are met with Constance staff who direct you to the airport lounge. From then you are treated respectfully and professionally by all members of the team for your entire stay. The genuine smiles, the friendliness and helpfulness is unmatched and really shows how far the team is willing to go to ensure your stay is both memorable and without fault. No matter what we needed, the entire team were happy to help and we can't fault them! Food: The food quality is of the highest standard, and although they only have one main restaurant and one a la carte restaurant, you won't be disappointed. The one downside however was that vegetarian and vegan options are very limited. Being a foodie, a key reason I pick holidays is based on food and so honestly speaking the island needs to branch out with its vegetarian offerings (vegetarians don't just eat salad). I did find myself eating a lot of the same pizza and pasta due to the limited options many days or finding ways of making my own dishes based on the wide range of salads, breads and sides on offer. However, saying that, once we spoke with Rifkhan in the restaurant team, he spoke with the chefs and was happy to make bespoke food just for us to ensure we always had something we liked to eat! This was a lovely touch and ensured we still enjoyed the great quality food! I can't fault the staff for solving the issue, but we felt bad asking the chefs to make something every meal for us, so I do feel there should be more vegetarian main options on the buffet itself (other guests also asked for vegetarian options, and meat eaters can also eat vegetarian food so it feels like a win win to just offer more). Nevertheless the quality cannot be questioned and we still ate our fair share of food whilst there! :). Drink: High quality and very tasty! Offering the usual cocktails seen everywhere, but also including the islands own cocktails or classics with a twist. They change their cocktails every 6 months to also offer something different to returning guests. Price: With Constance Moofushi, you do get what you pay for. It is paradise and so will naturally have a price tag to match. It's very expensive for normal income families like ourselves, however for that special occasion or once in a lifetime trip, it's worth stretching if you can. We went thinking it would be a one off trip due to the price, however after going, our experience was so good that even though I never like to visit the same place twice, we definitely want to return here one day! Overall: The best place I have ever been to and one we want to return to one day if we can afford it! Expensive yes, but well worth the money as the service, quality and location will be hard to match anywhere else in the world. Staff are the ones who really make this island great and a huge huge thank you to everyone at Constance Moofushi for making our honeymoon the best trip ever and for making us feel part of the Moofushi team! Probably the best week of our life on honeymoon. Absolutely recommend to anyone, did not have a single problem while we were there. Most relaxed I've ever been and the food was fantastic! Wonderful place. Attentive staffs and friendly feel. Clean and neat too. Full board is recommended. Wonderful resort with great staff! Every effort is made to give you and your family the perfect island vacation! Beaches & walkways are kept perfect, food is awesome and drinks plentiful and refreshing! Staying here as a family of 6 ages from 15 to 50 as part of our double 50th birthday celebration, and it's everything we wished for. This place was absolute paradise, we went for our honeymoon in June and loved everything. From the moment we arrived everyone was so lovely and helpful. Our water villa was gorgeous and I just loved being able to walk into the sea. The food was also amazing!! So much choice and everything was delicious. The all inclusive drinks were also amazing, you can pretty much order anything you want at any point of the day. The only downside for us was the sunset fishing trip, it wasn't how I imagined. We were on a large diesel boat which was so noisy and smelly it just wasn't how I pictured the trip, I thought it would be quite peaceful. We did also do 2 dives and they were incredible. Saw sharks, turtles and a manta ray. The staff were very helpful and knowledgeable. The amount of fish you can see snorkeling from your water villa though is also incredible. I couldn't fault the resort at all, the pool and beach were stunning and there were plenty of things to do. We didn't get bored once. Would love to go back but it would have to be for a special occasion as it is such a special place. We were worried about going in June as its supposed to be out of season but the weather was lush! Sunny and hot every day. Couldn't recommend Constance Moofushi anymore, it was something else and something I will remember forever! This is absolutely one of the most beautiful places on the world, the staff are world class with their service and the facilities are in their own league. Thanks for having us. Best, James Galvin. Absolutely heavenly! All the staff here are so friendly and very accommodating! Money well spent. As soon as well landed we fell in love. This is a place were you just relax, swim with fishes and little sharks and eat so much amazing seafood. Great food, drinks, service - everything really. Even at maximum capacity, still felt serene and private. Best vacation either my wife or I have been on. Set on its own secluded island, the resort is a combination of luxury and simplicity with an all-inclusive meal plan. From ecological thatch roofing to crystal clear water, Constance Moofushi is a unique resort with a soul. All villas are built and decorated with wondrous tones of nature with a hint of Constance chic. Feast on fresh seafood and Maldivian specialties in sand floored restaurant and let the natural spa treatments take you on a blissful trip. Barefoot chic, villas on dazzling white sand or on stilts that float above the turquoise water of the Indian Ocean; choose from one of the 24 beach villas, 56 water villas or 30 senior water villas at Constance Moofushi.. All Beach and Water Villas feature air-conditioning, ceiling fan, bathroom, shower, WC, hairdryer, sitting area, WIFI, LCD TV, mac mini (iPod connection, CD & DVD), telephone, mini-bar, safe, tea, coffee facilities and a wooden terrace. 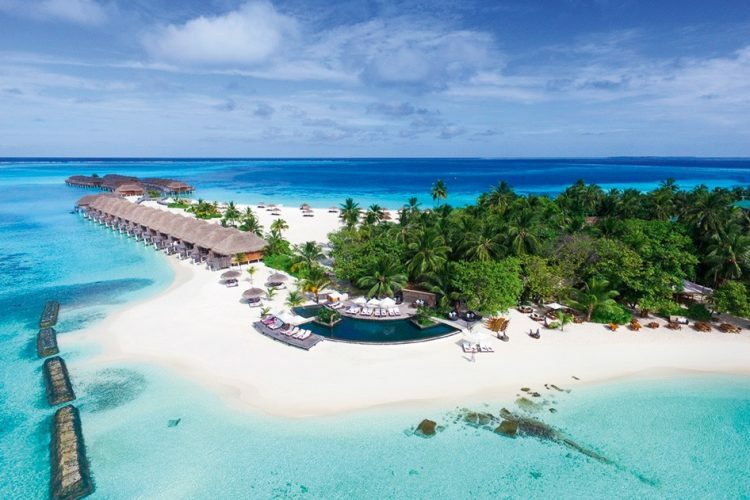 All Senior Water Villas feature air-conditioning, ceiling fan, bathroom with outdoor bath tub, double vanities, shower, WC, hairdryer, sitting area, complimentary WIFI, LCD TV, mac mini (iPod connection, CD & DVD), telephone, mini-bar, safe, tea, coffee facilities and wooden terrace. The colorful aquatic world is a must while staying at Constance Moofushi :From snorkelling exploration, sunset cruise with a traditional Dhoni to dolphin search and big game fishing Maldivian style; Constance Moofushi and its surrounding is a jewel. Constance Moofushi Maldives has 2 restaurants and 2 bars and guests enjoy the Cristal all-inclusive package during their stay. Kids menu is available in all restaurants. The simple, pure and unique Spa de Constance offers natural healing and nurturing beauty from within. The resort is perfect for lovers of fine dining, divers and those seeking luxury beachfront relaxation. Real 5 star hotel!! Loved our 10 day stay. Staff, food, beaches, villas.. perfect. Perfect over-water villas, absolutely warm and lovely staff, great entertainment and stunning environment - wonderful snorkeling just steps away! We couldn't recommend Constance Moofushi more highly!! It was the perfect place for our honeymoon and we hope to go back again someday. Great place to spend a peaceful vacation. Highly recommend it! When you see pictures of paradise...they probably took it here!! its awesome..!! Beautiful place..fresh weather..!! Excellent hotel in paradise. Very friendly and helpfull staff. Food good. Beaches perfect. You can stay in the water as long as you like. If it rains, still warm. Water villas may require walking. Very small island, takes about 10-15 minutes to walk around. Access by sea plane only. No need for shoes during stay. Best for couples. Very nice for snorkelling. Snorkelling equipment available (free). Lot of shallow Beaches. About 140 double rooms. If heaven had a waiting station. This would be it. Amazing beaches secluded on a small island. First rate food and service. And of, if you're in to diving. Look no more. Wonderful place, delicious food and perfect place for couples. We stay here for one week and stay in beach villa and water villa. Hopefully we can come here again. It is a beautiful Island, we have the all inclusive package and I have been to many all inclusive resort in other parts of the world but this is the first time that cigarettes are also included :) LOL too bad in the case I am not a smoker. The water villa is OK size, serving NESPRESSO many years ago when it was consider a luxury. There are some coral reef near by, can see some fish. Beach is soft and long. I often find myself be the only one on the beach without sharing, it's like my private Island. The only reason I didn't give it a 5 stars is because the staff is not very friendly, in Mexico, Asia or North America everyone greeted you with smile, even the gardener and housekeeper. Here we find ourselves the one who greet them first before they said hello back. Simply amazing. We went here for our honeymoon and it was the most incredible experience! The friendliness of the staff is unbelievable, and they help you with whatever they can. The restaurant staff is very kind and communicative, but not too much either when you are not in the mood. Very professional. The choice of food in the restaurant is great, and the drinks are too. In addition the island is just beautiful, just what you would imagine of a fairytale honeymoon in the Maldives. The diving was a bit on the expensive side, but given the lack of local competition (it's only this hotel on the island after all) and the beautiful reefs it's understandable. The rooms were amazing, with entrance into the ocean, outside showers and a deck. Just incredible. And plenty of underwater life when snorkeling: rays, baby sharks, reef sharks (not dangerous) dolphins (we saw them from our water villa). Eating on the beach, having cocktails at the totem bar or relaxing with a game of petanque. Just wonderful! We also did the sandbank dinner, which I cannot even begin to describe how great it was. The best romantic experience ever! All inclusive! Is so easy and relax. Worth the money! Get fantastic deals and news!